We have the three winners of the high-tech (and expensive) sunscreen that I'm giving away. Congratulations to Pat, Roxanne Hawn and Ellen Burke. (I hope you all enjoy using this product for ultimate UV protection whether you're hanging out in your neighborhood or traveling to far-flung lands.) 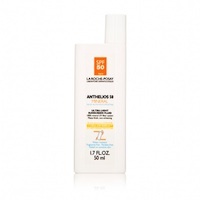 Pat, Roxanne and Ellen will each receive a bottle of Anthelios 50 mineral manufactured by the same company whose product I recommend in my travel tips e-book. Thanks to everyone for entering this sweepstakes that I blogged about here.